- Jeff Johnson is President and Principal Consultant at UI Wizards, Inc., a product usability consulting firm that offers UI design, usability reviews, usability testing, and training (http://www.uiwizards.com). 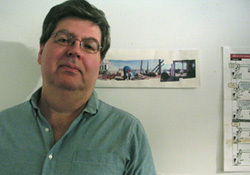 He has worked in the field of Human-Computer Interaction since 1978. - After earning B.A. and Ph.D. degrees from Yale and Stanford Universities, he worked as a user-interface designer and implementer, engineer manager, usability tester, and researcher at Cromemco, Xerox, US West, Hewlett-Packard Labs, and Sun Microsystems. At Xerox he worked on successors to Xerox's famed Star workstation. At Sun he worked for the "skunkworks" that produced Java. 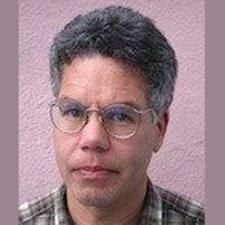 - Jeff has taught at Stanford University and Mills College. In 2006, he was an Erskine Teaching Fellow at the University of Canterbury in Christchurch New Zealand. He has published numerous articles and book chapters on a variety of topics in Human-Computer Interaction and the impact of technology on society (see http://www.uiwizards.com/portfolio_publications.html). - He frequently gives talks and tutorials at conferences and companies on usability and user-interface design. He is the author of GUI Bloopers: Don'ts and Dos for Software Developers and Web Designers (2000), Web Bloopers: 60 Common Design Mistakes and How to Avoid Them (2003), GUI Bloopers 2.0: Common User Interface Design Don'ts and Dos (2007), Designing with the Mind in Mind (2010), and Conceptual Models: Core to Good Design (2011, co-authored with D. Austin Henderson). - He is married to Karen Ande, a documentary photographer who works for relief organizations in Africa that support children orphaned by HIV/AIDS, and who is also the author of a book (see http://FaceToFaceAfrica.com). - Steve Krug (pronounced "kroog") is best known as the author of Don't Make Me Think: A Common Sense Approach to Web Usability, now in its second edition with over 300,000 copies in print. - Ten years later, he finally gathered enough energy to write another one: the usability testing handbook Rocket Surgery Made Easy: The Do-It-Yourself Guide to Finding and Fixing Usability Problems. - His consulting firm, Advanced Common Sense ("just me and a few well-placed mirrors") is based in Chestnut Hill, MA. - Steve currently spends most of his time teaching usability workshops, consulting, and watching old episodes of Law and Order. 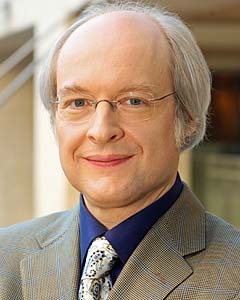 - Jakob Nielsen, Ph.D., is a User Advocate and principal of the Nielsen Norman Group which he co-founded with Dr. Donald A. Norman (former VP of research at Apple Computer). - Before starting NNG in 1998 he was a Sun Microsystems Distinguished Engineer. - Dr. Nielsen founded the "discount usability engineering" movement for fast and cheap improvements of user interfaces and has invented several usability methods, including heuristic evaluation. - He holds 79 United States patents, mainly on ways of making the Internet easier to use. - Darelle van Greunen is an Associate Professor and the Research Group Leader of the User Experience Group at the Institute for ICT Advancement at the Nelson Mandela Metropolitan University. - She is also a Senior Researcher for SAP Research Pretoria. - She specializes in human computer interaction and user experience, reflected in an extensive publication record (57 peer-reviewed papers in conference proceedings, 5 journal articles, 2 chapters in books). - Her research is regarded as trend setting in the international user experience and human computer interaction community as it focuses on the opportunities and challenges provided by the use of technology in the developing world and more specifically on new and innovative technologies. - She is regarded by her international peers as one of the leading researchers on the user experience of different users in different cultural contexts. - Prof. Janet Wesson is Head of Department and Professor in the Department of Computer Science and Information Systems at the Nelson Mandela Metropolitan University (NMMU) in Port Elizabeth, South Africa. Professor Wesson is also Head of the NMMU/Telkom Centre of Excellence in Distributed Multimedia Applications, which is funded by Telkom SA, Dimension Data and the Technology for Human Resources in Industry Programme (THRIP). 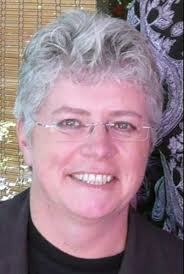 - She is also employed on a part-time basis as a Principal Researcher with SAP Research CEC Pretoria. Prof. Wesson completed her PhD with a title 'An Investigation into Design Methodologies for Usability' at the University of Port Elizabeth in 1997. She has published widely in local and international conferences and journals on user-centred design, user interface design and usability evaluation. - Her current research areas include information visualization, intelligent and adaptive interfaces and mobile computing. Prof. Wesson is South Africa's national representative on IFIP TC.13 Technical Committee on Human-Computer Interaction (HCI), vice-chair of IFIP TC.13 and secretary of WG13.2 (User-centred Design Methodologies). Prof. Wesson has been a THRIP grantholder since 2003 and was selected as a THRIP Excellence Awards Finalist for 2004. Her current THRIP project was initiated in 2006 and is entitled 'An Investigation into Intelligent User Interfaces for Contact Centre Management'. - Prof. Wesson is a South African National Research Foundation (NRF) rated researcher and is acknowledged internationally as an expert in HCI education and research.